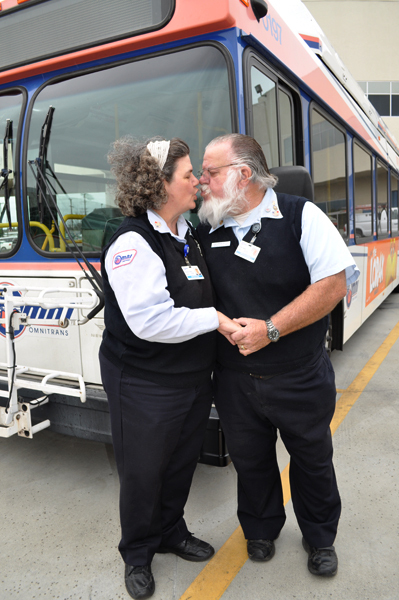 Back in February we did a story on Omnitrans coach operators Larry and Marianne Rose who have been married for more than 16 years. The post was later picked up by The Press-Enterprise and published on Valentine’s Day. 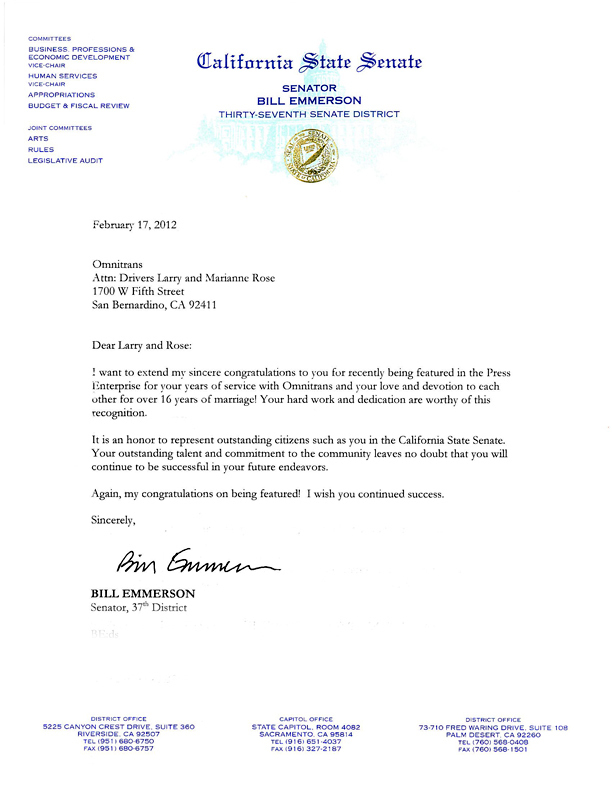 In response to the article, the Roses received a letter from Senator Bill Emmerson, congratulating them on their service with Omnitrans and their love and devotion to each other through so many years of marriage. In the article, the Roses had talked about Marianne’s battle with uterine cancer and how she was paying it forward by talking with other cancer patients at Loma Linda University Medical Center. This entry was posted in Employee Profile and tagged bus coach operators, omnitrans, omnitrans blog, omnitrans drivers, omnitrans employees, public transit, senator bill emmerson, uterine cancer survivor. Bookmark the permalink.